February 9, 2007, Yorktown, Virginia – Cybernetics has announced the immediate availability of new LTO-3 tape library models. With 24 tape slots and one or two performance LTO-3 tape drives, our new CY-TLL-224 Series delivers tremendous capacity in just 3.5" of vertical rack space. Each single tape stores an incredible 400 GB to 1.2TB at a rate of 216 to 432 GB/hour. With automated access to 24 tapes within the library, total unattended backup capacity is 9.6 to 28.8TB in just 2U rack space. LTO-3 is a highly reliable, enterprise class backup solution, and this library makes it affordable enough for small to medium businesses. The new CY-TLL-224 is available as a direct SCSI attached model, as well as an iTape™ model attaching directly to the Ethernet network to support direct access for multiple hosts across a network. SCSI attached dual drive models have a separate SCSI port for each tape drive for maximum throughput. Cybernetics iTape models are free from the distance and location limitations of direct attached devices, so these performance backup solutions can be located locally or remotely for backup across the LAN, WAN or MAN. As part of a total data protection package, the CY-TLL-224 Series is an excellent archival tape library when connected to our miSAN® V Series or HSTC™ Virtual Tape Library. Using disk-disk-tape technology, all backup data is written to a highly redundant and reliable RAID array. Then, selected virtual tapes can be archived to the CY-TLL-224 in a completely serverless mode at maximum speed. The D2D2T strategy minimizes the backup window while facilitating restores at absolute maximum speed. Backup data resides on disk for as long as needed, and can be duplicated to any number of tapes. Based in Yorktown, Virginia, Cybernetics manufactures, sells, supports and services a complete line of backup and storage solutions. 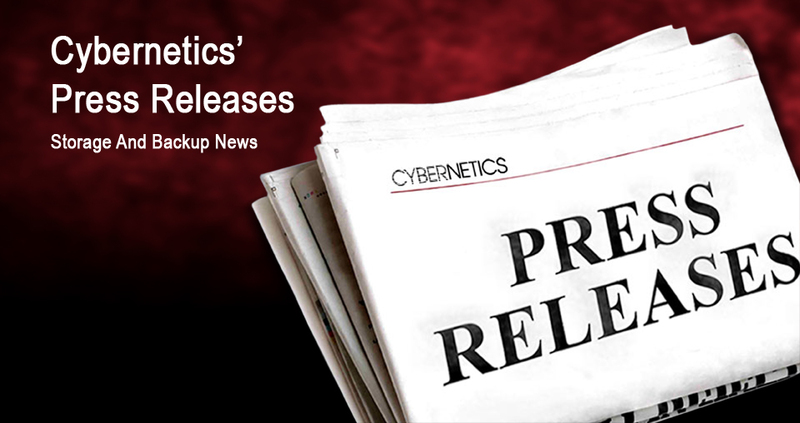 Established in 1978, Cybernetics is recognized in the US and across the world as a pioneer in data storage technology and is well renowned for highly innovative storage features while ensuring top reliability and interoperability of systems. For more information, please call (757) 833-9000 or visit www.cybernetics.com.